So what do you do when your friend gets a Grand permit 10 days before the launch date? Well, naturally, you call all your friends and you start driving. What if she only has an eleven day window to do the trip? Easy, just self-support it. What if she doesn’t know how to kayak? Um…Well, then you have two options. Option 1: self-support with her in a Topo Duo. 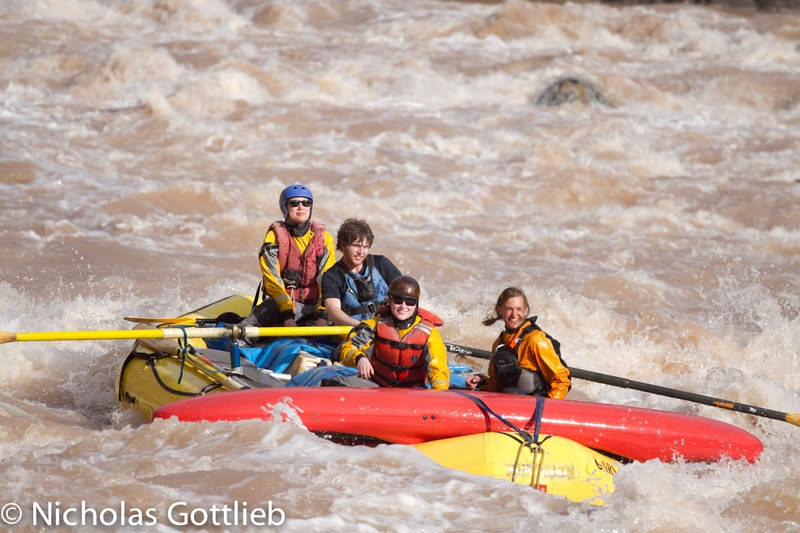 Option 2: find seven more people with no whitewater experience, call every raft outfitter and friend you know of, and try to put together an 11 day, 16 person raft trip in less than 10 days. Well we went with option two and it turned out great. Eleven days is a quick pace, the fastest raft trip I’ve done by far (my self-support last year was ten days), but it’s totally manageable, especially in the spring with longer days than the dead of winter. I got to bring my Bliss-stick Smoothy on this trip and paddle it through most of the major rapids, which was great, as I hadn’t paddled a playboat on the Grand in a few years. 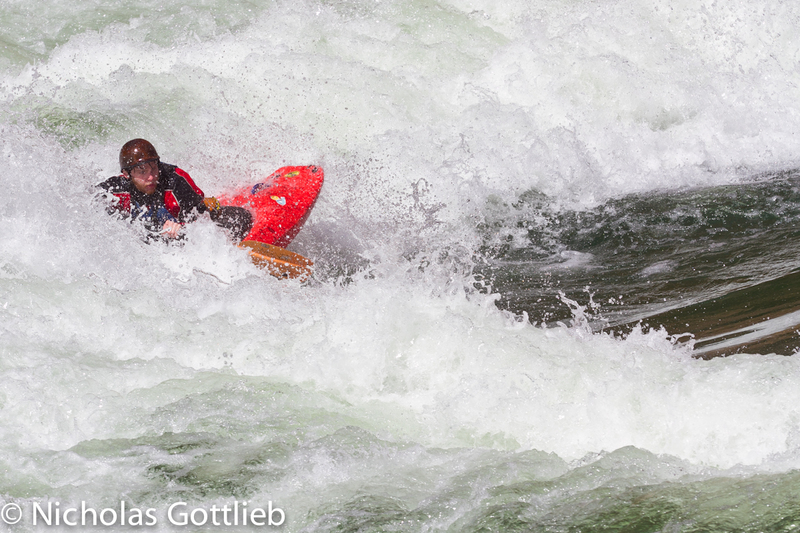 The first couple days had some incredible play waves, although I only got the camera out at one of them. 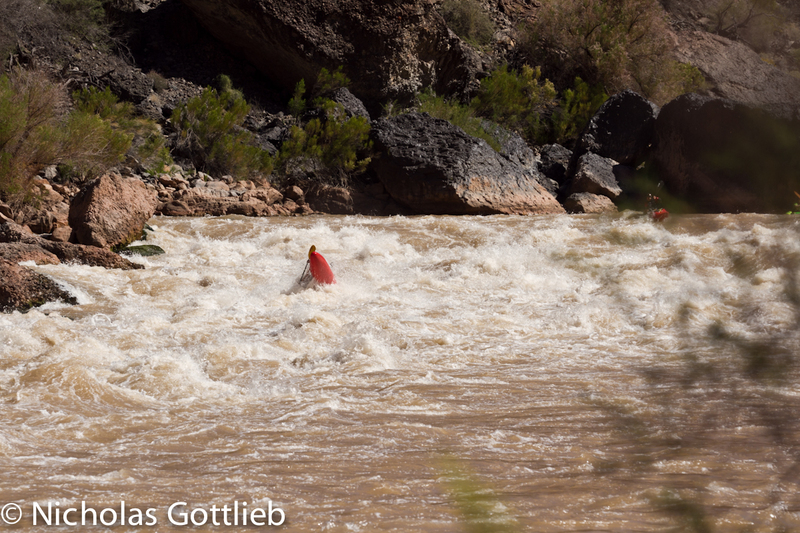 Here’s James Deusenberry in my boat on one of them — I think it was mile 24.5 rapid. The last few days had the standard beautiful scenery. 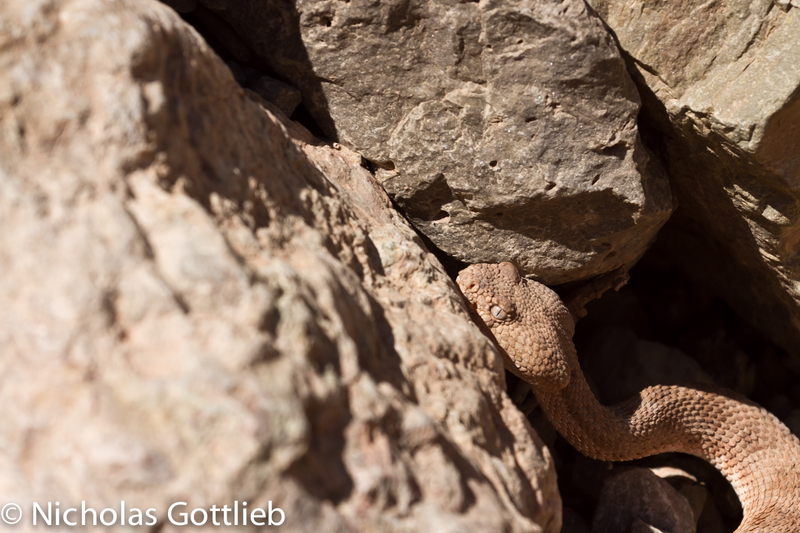 We saw some wildlife I’d never seen in the canyon before (and hope not to see again anytime soon). 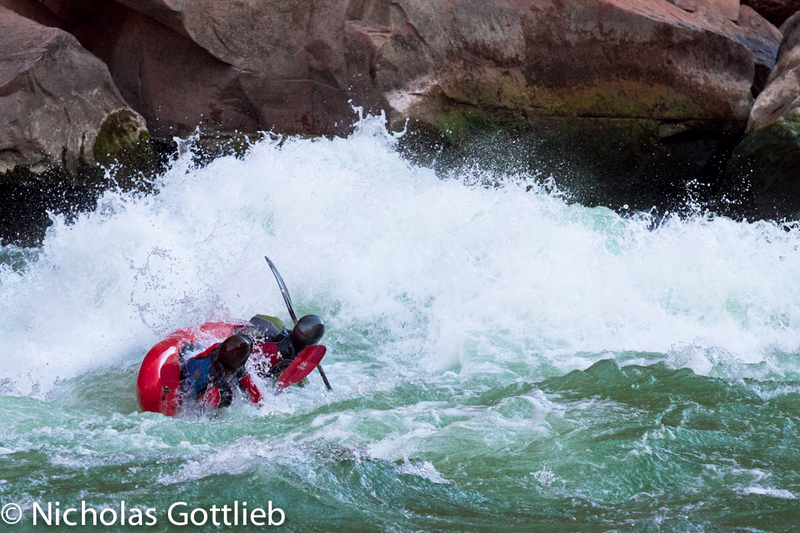 We decided against self-supporting with a Topo Duo, but we brought it along anyway and had a blast putting every range of ability level in both front and back through rapids. Greg Sokol pilots the duo through Lava. I wouldn’t trust him enough to sit in the front of that thing. 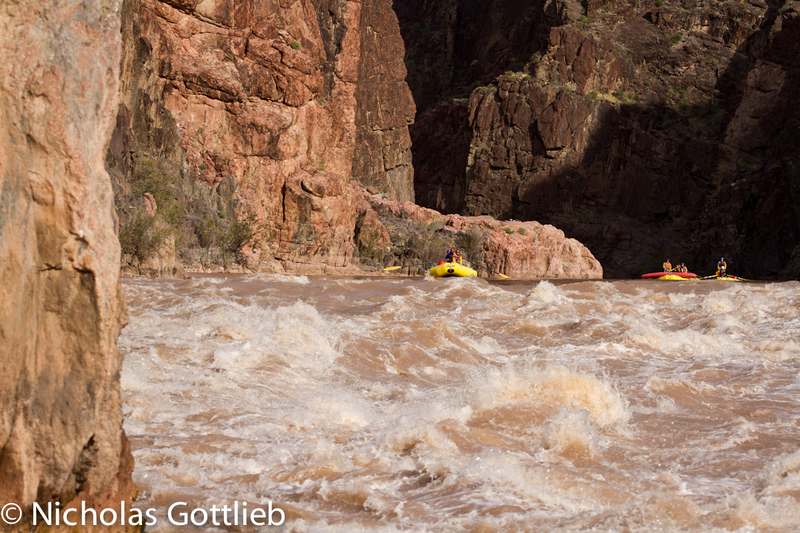 Our last-second armada of rafts coming into Granite. All in all, our bootstrapped trip turned out really well — as every Grand trip does. 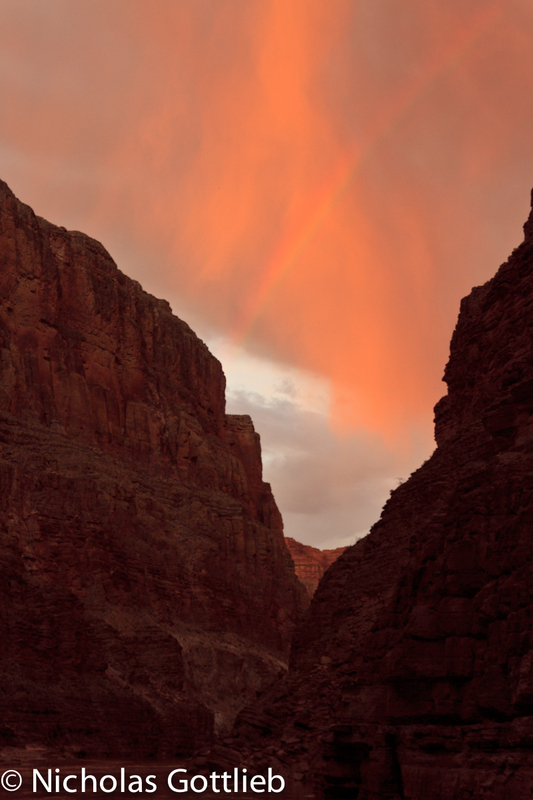 If you’re not already in the lottery system, get in it — http://npspermits.us/grandcanyon/river/login.cfm. If you are, apply in all the followup lotteries, and keep an eye on emails from the NPS — particularly in the winter — advertising call-in cancellation dates. You can go every year if you want without much trouble, and it’s absolutely worth it.